Test shot with the new background. Will be quite handy to have for my business. Arrived quickly and looks great. Thanks! Behind the scenes. Backdrops coming off one of many of our grand-format digital printers. Once your backdrops have been printed they are sent to our cutting dept. where your backdrops are cut off the 150' roll. If you ordered a Pole-Pocket, grommets, hems or other special request your backdrops are sent to our Finishing Dept. Once a backdrop is complete it goes to our packing team where it waits for other items in your order. Once your order is complete it waits at the gate for the “men in brown” to pick it up and deliver to you! 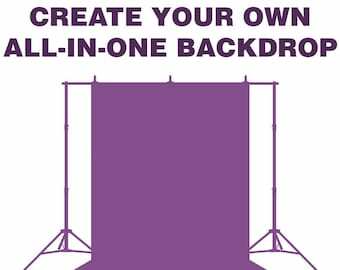 Bubblegum Backdrops is a family-owned corporation specializing in grand-format printing. Before Bubblegum Backdrops came along, we were wrapping our first decade as one of the nations largest grand-format print companies. Printing and producing product for businesses and families worldwide, we opened up a new element of our industry by catering to the ever growing world of photography. We are currently occupying over 16,000 square feet of warehouse space with over 20 machines geared toward producing the highest quality printed products of all kinds! 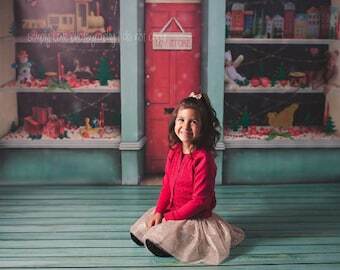 Whether you are a professional photographer or a stay-at-home mom looking to add pizzaz to your portraits, Bubblegum Backdrops are for you! Thank you for your interest in Bubblegum Backdrops! 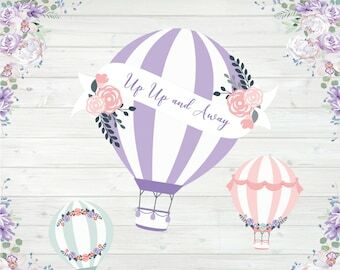 We aim to provide the highest quality vinyl backdrops at an affordable price. Keep in mind that the final print may slightly differ from the image on your screen in regards to color and detail. We do not offer exchanges/refunds due to slight variations in color. We may request photos to determine a print error. We understand there are rare cases that a product may get damaged in shipping. You have one week within receipt of your backdrop to notify us of any damaged products. You may be required to return the damaged product. If an order is damaged in shipping or in print production a reprint will be issued and shipped to you at no additional cost. Shipping laws and charges vary from country to country. Customs and import duties are the responsibilty of the recipient and may be applied when the shipment reaches it's destination. Details and information regarding these fees can be answered through your local customs office. Due to size limitiations some international orders may be shipped folded. Instructions for removing any creases due to folding will be provided in your package.